Several months ago I listened to the CEO of Coral, Andy Hornby, give a keynote speech to executives at the Leaders In Racing conference. ‘Racing and Bookmakers should work together to make profit for both’ It brought tears to my eyes. ‘Our data suggests a third meeting every day increases turnover by 30% and those meetings should start around midday, this is when people break for lunch and can pop into a betting shop to wager’ He went on to muddy the words ‘turnover’ with ‘profit’. Most businessmen accept that the two don’t always go hand in hand- especially when we’re discussing gambling – but let’s not spoil a good wheez shall we? Now, for brevity I’ve paraphrased the main thrust of his argument as to re-hash any speeches at that conference puts you to sleep. But you get the idea. Of course this view is peddled by a small army of PR men from the Barking outfit every five minutes on Attheraces. Rather cleverly Coral have become the biggest sponsor in Bookmaking for racing. They do have considerable influence, one they pay for. You see, the empirical evidence paints a completely different picture. At the foot of this report, I invite you to view the presentation by Jennifer Owens, a research consultant for Aspire Wealth, tasked with investigating the state of the Racing and Betting market globally. Again I spare you the full details, but let’s deal with comments affecting Andy Hornby’s argument. She goes on ‘The most striking example which was quite damaging to British Racing was the introduction of gaming machines into UK betting shops. FOBT’s account for 38% of gross win in the UK – just as well they are limited to four machines per shop.’ The lady took no prisoners. Jennifer continues ‘There is evidence that field sizes and turnover are correlated – at least in the negative. The greatest declines in turnover have been witnessed in the US and Great Britain since 2006, and in these markets the field sizes have dropped dramatically.’ ‘In many markets Racing has become disconnected from Betting.’ In broad terms racing governance doesn’t engage the right type of people to maximise it’s output and we need to turn around the field size problem urgently in her expert opinion. Anyway I digress. What conclusion can we draw from this intelligent appraisal? Well if her numbers are correct, and I think it’s reasonable to suggest they are, Andy Hornby is talking out of his corporate backside. The global view on betting doesn’t in any way support his stance that more racing engenders more levy. Quite the opposite. In fact the most successful state for betting in the world only races six times a month. Hong Kong. Let’s put it simply, and honestly. Racing needs to tell the Bookmakers where to get off. You see our great sport is a vital cog in their wheel. If racing doesn’t fill the ten minute gap Andy requires, he will simply turn to another product to make the place look busy. Greyhounds, virtual, Australian and French racing are all fit for purpose here. British Racing doesn’t have to prostitute it’s product in order to keep shops open. Gross win across the counter has been dropping between 5%-6% since 1998 and there’s little doubt the major operators focus their advertising on machine take- not racing. So why are we bending over for organisations who don’t promote the sport? Or perhaps you draw a different inference from the picture which typifies these companies. I don’t know about everyone else, but I do know my turnover on the far better funded Irish Racing runs at around 9% of my racing turnover – yet it’s ill-considered as a product against the British one, timing of the races are not synchronised with their UK equivalent, nor do we earn levy from wagering upon it. That seems fairly odd to me. Will some shops close? Inevitably. 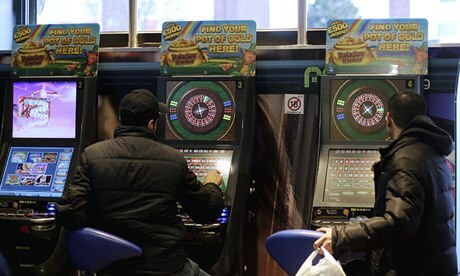 But let’s not kid ourselves, these are the worst performing money factories, often competing with other LBO’s in the same street or district and whose machine gross win (typically industry wide figure of £3600 per week per shop) is unable to support the unit in some areas, where the FOBT take is insufficient. This is natural forces and we shouldn’t be wailing if a few of them go to the wall. Proliferation of betting shops isn’t about racing. We’re not going to improve our levy yield because we have another shop 200 yards away, most people can struggle that far for a bet. Hell, I bet Newham would be thrilled to see a few less squeezing into their High Street. The period between 2002 and 2008 with fixtures growing from 1270 to 1548 and a levy yield which also grew modestly fooled some folk. Those years actually witnessed a decline in the numbers of people actually going racing, not only per fixture, but overall . The new meetings were in unattractive slots. They diluted competition in racing by spreading the available horse population more thinly. Some tracks found they were in fact weakening their own other fixtures. If people aren’t going racing- they sure as hell aren’t betting. We’ve lost the impetus and this is no more illustrated in racing than the depressed state of the On Course market. Racing to empty stadia has become rather par for the course with ticket prices people simply do not want to pay by cynical management. Selling ’empty space’ with a notable lack of effort. Put another way – racing is heading to the dogs and become reliant on festivals. Pass the port will you? Tracks are guilty of putting on events without thought or involvement for the production of competitive fields and the size thereof. 38% of all races are won by the favourites, 2 in every 5 races! That’s a fantastic statistic and evidence of the transparent nature of the sport.Not only are the favourites the legitimate ones, but lets face it, the drifters run appropriately as unscrupulous connections take advantage of a no lose opportunity! Little geo-location of fixtures is evident, in order that the available local horse population, and attendances, could service the same. We do not properly consider the cost of staging fixtures like Ffos Las- which even if it’s a self funded two mile hurdle race with two fences hundreds of miles from civilisation, still has a significant attaching integrity cost to operate. Such moves put top racetracks in direct competition with each other. Ascot, Britain’s premier course regularly competes with York for coverage and exposure. Our Champions Day sees Cheltenham competing with Ascot for coverage. It’s not unusual to witness these three top courses rivalling Chester and Newmarket along with sundry smaller tracks for attention. In what other industry would you create a programme so devoid of interest midweek? A bit like Waitrose emptying its shelves of fresh vegetables and offering us tinned plums instead. As a business plan, Saturday focus demonstrably fails the quality test. Our best racing in direct competition to top sport, particularly football and rugby. We have a Derby opposed by 8 other meetings on the same day! Let me stress this, Lingfield just down the road opposes the Derby. This isn’t our game face surely? Positively it’s one the BHA Chairman, who’s emerged from hiding and appears now to want to address with his new consultation into the fixture list. If required I will be part of any quorum and/or meeting or analysis to press this case. This consultation will inevitably bring the sport into conflict with the likes of Tony Kelly and Simon Bazelgette et al. They’re not likely to give up the easy dollars they earn annually from media rights with jewels like Kempton and Southwell, with arguments like what will we lose rather than what does it cost. The media rights cake envisaged in 2018 won’t be a patch on what they’re earning right now if we continue on the path of 6 runner races and odds on chances. Bookies won’t peddle an unprofitable product riddled with favourites hosing up through lack of competition. There’s evidence right now the betting share for racing is well down. 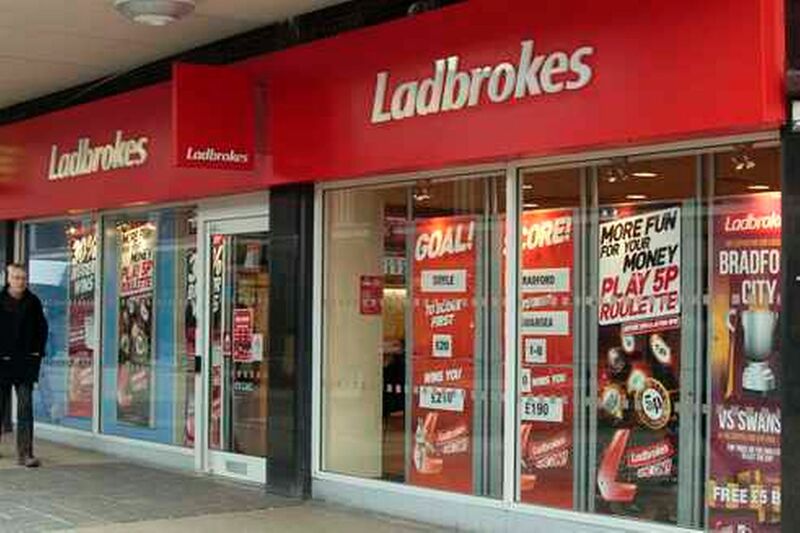 So what are we selling the bookmakers, or rather more pertinent – asking them to sell for us? It does require the turkeys to vote for Christmas as things currently stand and forego an element of beer sales. There appears to be a view if we put up 38 grand we’ll end up with a quality Brigadier Gerard. In fact we ended up with a short field, odds on chance event. In betting terms it’s useless.. It’s not JCR’s fault and I’m not suggesting that. There are, quite simply, far too many opportunities for our wealthiest owners and a racetrack focus on such owners. They’re not turning down the 38 grand- they know they’ll get it somewhere else.. We’re looking after the top horsemen. All very well, but what happens to betting in such races? The juggernaut that is British Racing is finally starting to recognise that any way you cut it, 1548 fixtures is simply far too many. We can tinker with the planning but we’re not going to make the product that much more competitive which is what both bookies and punters want. We also have to properly consider the effect of small fields on interest abroad. I would settle for a modest cut for now to examine the impact on field sizes. I think most would. I chatted to several of my on course peers after Ascot. It’s readily accepted the meeting was a complete disaster for Bookies generally – expect a few profit warnings! What was remarkable was that most of my colleagues betting at Ascot actually turned a profit, when they should have done their brains! These days to turn up as a Bookie, post general market odds and stand back waiting to see who backs what, is a recipe for failure on course. Most of the larger concerns find betting on course impossible because they don’t ‘trade’ the wagers on exchanges. It’s a total necessity if you are to make racecourse bookmaking pay as a business. However the much wider industry still continues to accept prices that more often than not mirror exchange odds, and can be based on some individuals betting win only, or a fifth of the odds on a 16-21 runner handicap. At the midweek and sundry ‘weaker’ meetings the on course market has become excessively weak and totally ruled by exchanges for their prices. I watched a major operator’s rep at York run around recently telling folk he wasn’t going to invest with certain organisations because they weren’t in the 20 firm ‘sample’ that’s used to return odds to the LBO’s. Therefore for such organisations to control a particular horse’s SP, they only have to wager with the ‘sample’ organisations, and ignore the other 90 bookies. It costs but a fraction of what it used to, to move the SP of a runner at a major track like York. At the weaker meetings like Kempton, frequented by the smallest weakest bookmakers, it’s pathetically easy with but a few grand to influence prices. What self-respecting bookmaker is going to turn down £300 from the majors when they’re only holding that much per race? Manipulation on the cheap. And a market and exchange so easy to control these days doesn’t encourage laying. To the racecourse Bookies I say this. As the off track prices inevitably dip – so the on course market’s odds become more attractive to punters. A path to new business. We neither need, nor deserve to be part of a mechanism when there’s only a handful of us, betting to pennies and following cyber betting bots. A maximum of two (Levy and Media Rights) funded premier events on any day. 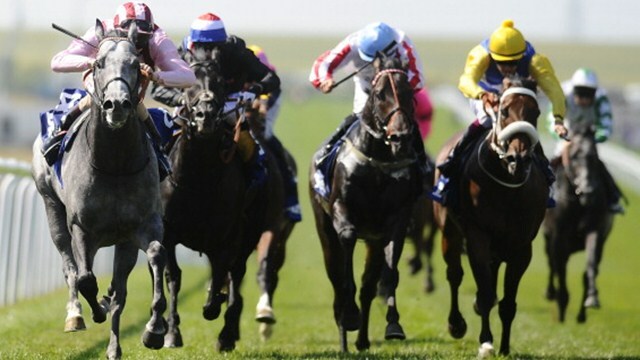 Racetracks to be penalised with total loss of funding for production of races under 5 runners. Racetracks funding to decrease for each race containing an odds on favourite and increased for any race where the favourite goes off at 5/1 or better. Summer jumping programme to be scrapped for two months. Coral to reintroduce the blonde to their adverts. It was the only betting advert worth watching.. These plans will affect income streams of some and put other people’s noses out. I’m not, however in the business of making myself popular amd I think my chances of making the Jockey Club are a bit slim 🙂 Of course I understand some of us turn left on aircraft and don’t worry about what’s happening in the back of the plane. How much it costs, whether they’re drinking from a real glass, and what film, if any, they’re enjoying. But such individuals must be viewing the approach of 2018 – when the Turf TV contract expires with firms like William Hill with some trepidation. If you’re sitting there thinking the racing is ‘terrific’ and Bookies should pay more for the product because they have offshore wings making bundles out of the sport, you need to excuse yourself from the room. UK Racing is, quite simply, the weakest betting product globally. 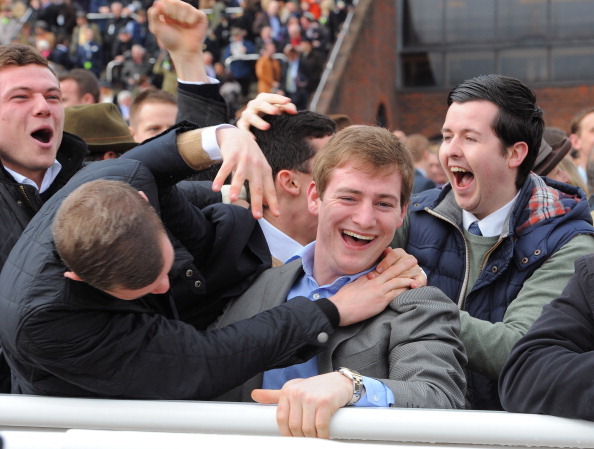 Let’s not get snobbish about betting – it’s the engine that drives the sport. As usual Banks makes no mention of the main reason why myself and others are turning away from Racing and the big difference between Hong Kong and here, namely that you can get a bet on in HK whilst here anybody not perceived as a gauranteed loser is banned. How can you promote a betting product which clearly (or perhaps doesn’t) states on the tin that if you show any signs of winning you will be banned. Any half sensible customer is going to say thanks but I will bet on something else. I thought briefly of something simple like you’re obtuse on purpose – but once again you’re missing the point. By the way geoff your suggestion that if races were more competetive, in your words more runners, then bookmakers would take bets off perceived non losing punters is quite laughable. HK is a great model that suits racing and punters. HK has no legal bookmakers. If you are a big punter the rebate system (for those betting over £1400 on a race) on 14 runner races works out to have an overround of 108%. 14 runner races in the UK would be 120%-140% with our bookies. HK was in decline before the rebate system came in. Providing value is the key and the UK bookies are not providing it to serious punters here. They will not take bets off anyone who looks like they might win. How does that encourage anyone into the sport? Coming racing, study form, have a bet. But if you show you might win get lost. In HK everyone can get on to serious money. The market there works. There is no working market here. Instead we have an outdated system. Each Way betting stops efficient pricing. It is often overbroke or forces value to be removed from the win market. It also means punters are regularly knocked back in bad eachway races causing ill-feeling. Get rid of each way betting and replace it with win and place betting. The SP system here is a joke. A few quid controls the price. How can a favourite be 5/1 on Betfair and 3/1 oncourse? It just looks like a rip off. Since the Levy is based on gross profits it is not in bookmakers’ interests to maximise winnings from each customer from racing bets. They are great for getting customers through the door or to sign up on a website. But once there the bookie keeps more of the punters losses by encouraging them to bet on other non-levy things. This means racing is used for concessions (Evens Sprinter Sacre, 5/2 Australia etc) to small money. Racing loses when these unrealistic prices are offered. The solution is to either return to a turnover levy or force bookmakers to lay bets to lose a fixed amount in return for the right to publish the fields. A system they are pushing in New South Wales. What happened to oncourse bookies having to display how much they would lay a horse to lose? A turnover levy is obviously not an option because it would make Betfair unviable so the second solution is required. Would all the Betfair following bookies be willing to price up maidens the night before if they had to lay each horse to lose a £1000 to anyone at the current price? Then change the price or take a £1000 again? I doubt it. Or maybe the good trading rooms would and thus the market would be formed earlier. There is nothing more annoying than being turned down a bet on racing at 9am only to see the price remaining until midday. To get on you need to send people to several shops instead of clicking a button. HK also provides free sectional timings, race replays, vets comments, horse weights before the race, track work video etc for everyone to see. Our trainers do everything behind the scenes. They should provide more information to punters. They also have far less racing in HK so there is time to study it. 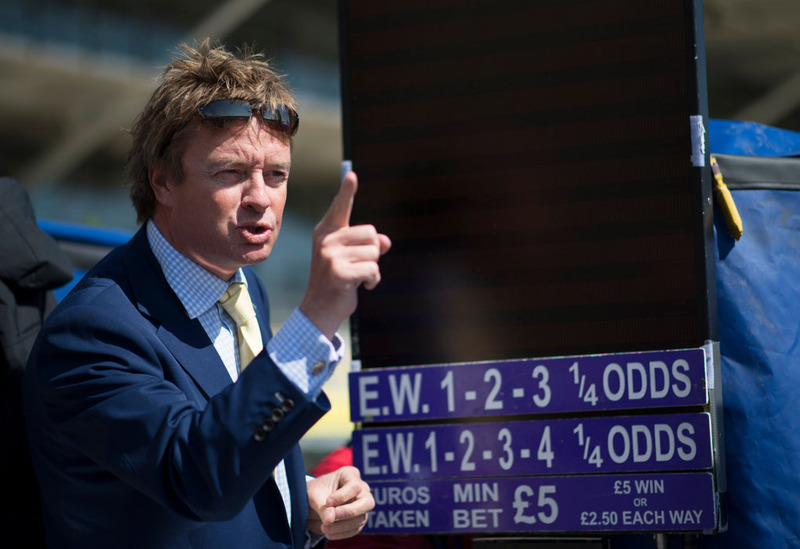 UK racing needs to provide more information for free to punters. At the moment everyone wants their cut. Why are horses not weighed? Why are race replays not free and all in one place along with the form? Why is their no sectional timing or weighing of horses? Information is the key in this data driven age. We have it for football, tennis, baseball, cricket, NFL etc etc but not for racing in the UK. Is this the reason online profits for UK bookies was greater for tennis than racing for the first time last year? 1. Less racing – two funded meetings on at any one time. 15 min gap between racing. So 4 meetings in summer and 3 in winter. 2 in the afternoon, 2 on summer evenings, 1 on winter evenings. 2. If a bookie wants to offer prices on racing he must take a bet to lose a fixed amount (£500 or £1000) at current odds. Then change the odds for all punters or take another max bet if requested. i.e. form a market. Under these rules no bookie would offer 5/2 Australia on the Derby for long and ruin the market for everyone. The bookies must pay for concessions themselves not out of the levy. 3. Replace eachway betting with win and place betting. Lets get the market more efficient. Faster price discovery means the bookies take bigger bets with confidence. 4. Provide one website with all form, race replays etc on it. Add section timing, weighing of horses etc. Provide this data to punters for free. Some worthwhile comments here- but let me ask you why you feel bookmakers should lay to lose £100 and not exchanges? Presumably you see the opportunity here for them to gain purchase over bookmaking? There is indeed a lot of good sense in Frogs comments but as usual you twist the points to suit you. You cannot compare the actions of the exchanges with actions of bookmakers on prices. The exchange simply offers a price to a certain amount to ANYONE. OK in the morning that prices amount may be small as layers are tentative. The bookmakers do not do this. They will be offering say 5/1 to £50 to Joe Mug but zero to Joe Smart. The exchanges do not do this. The net effect is that punters discovering the truth, which they do so know much earlier than they would say 15 years ago, are inclined to say I am off to bet on some other sport if I am going to be disqualified from racing. Second- and more evidently – the report is about the volume of racing – and not your crusade to get laid whatever you wish- a subject I HAVE covered in other reports. It cannot always be about you, your life and your concerns. And next time you anonymously post without the courtesy of giving a name- you will be blocked. 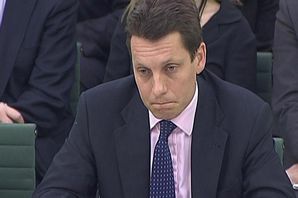 Hi Geoff My name is Mark Littlewood so no need to block me although I am sure that is what you would like to do. This is not about me its about the damage banning punters does to racing. It would be much easier to promote this sport if winners could be seen to be winning. With regard to you taking a bet, yes I have no account with you but in previous exchanges you have suggested that you operate in a similar vein to other bookmakers, that is to say that if you find clients are profitable to themselves or price sensitive you too ban them or the equivelant. For these reasons I do have a beef with bookmakers but also a greater beef with Racing for not making more serious attempts to move away or at least challenge them. 2. I do lay a fair bet-and if you were being honest the reason why you bet elsewhere is your own. It’s manifestly unfair to equate my business to theirs if you haven’t tried it. Firstly lets not confuse the issue here. When ever a punter complains about getting banned, bookmakers like to refer to it as not being able to get a bet on’.. Lets be clear we are not talking about not being able to get a bet on, we are talking about not being able to get ANY bets on. The two things are different, your sanitized description makes it appear that bookies from time to time refuse the odd bet. My second objection to your reply is that all bookies use the trader’s are vermin and deserve to get banned as yet another way of sanitizing their actions. In reality any punter who gets up in a morning, decides to back A.N.Other, looks round at who has the best price and then proceeds to bet with that bookmaker will be labelled as a trader by said bookmaker and banned. Morning punters who take best prices (and why should’nt they) are disliked for obvious reasons by bookmakers who in turn label them as arber/traders. The vast majority are simply taking the best price they can on their bets, something which before the internet was much harder to do. That is an interesting point. You suggest the min bet on the Betfair should be increased so the market is a fair representation? You can do this by increasing the slider by infortunately they do this for stake size rather than take out and remove the overround when you use it. Betfair morning prices are a waste of time anyway. I know the kids on the trading desks follow them but in reality they are just prone to punter manipulation. This then sets up a vicious circle with more punters being banned by bookmakers for betting the price following the manipulation and beating SP. I think the key issue here is the bookmaker takes bets off individuals. At the moment he has a marked loser and will take £1k at 10/1 but offer £0.58 at 10/1 to someone they have clocked might win. On the exchanges a backer or layer has no idea who the counterparty is. The punter cannot be selective i.e. I will bet against this losing counterparty but not against this winning one. That is the difference between a licenced bookmaker and a punter on Betfair laying or backing an outcome. The bookmaker can discriminate who he bets against. The bookmakers are the only ones who have the opportunity to get the markets moving early. If 10/1 in my example above is the ‘wrong’ price they could offer the winning punter £50 at 10/1 to take out £500. The price then can be moved to 8/1 or 7/1 or whatever which is a more realistic price. If the ‘loser’ wants to bet £1k he has to place to bet many times. The price will not move to his bets. The bookie has to choice to move the price to the sharp money or not. Taking bets off the sharps has three positive effects. 1. It get the prices to a more efficient level quicker so bookmakers can lay with more confidence increasing liquidity in the market. 2. Punters who are not that sharp do not get their accounts limited quickly because the traders think they might win. They stay in the game longer losing a bit, paying levy but having fun. 3. If punters know that they can bet bigger and might actually be able to win more will have a go on racing rather than sports or something else.